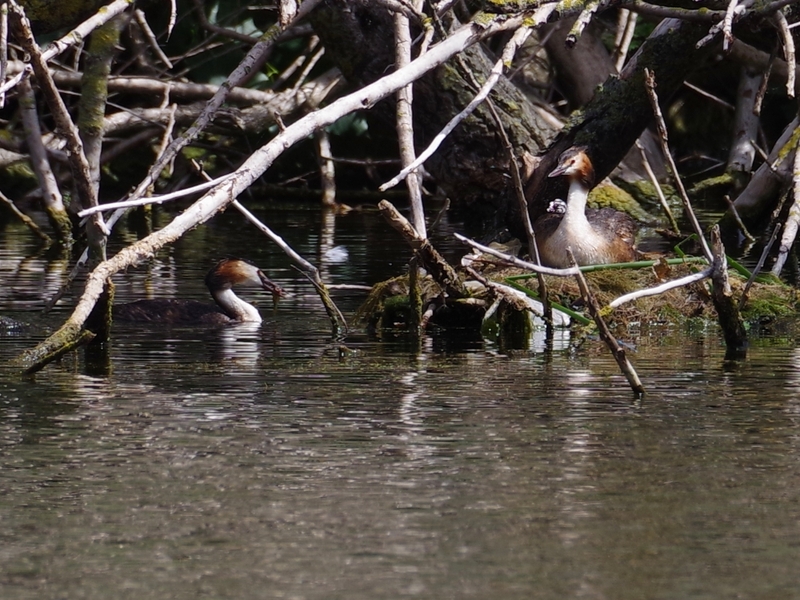 The Great Crested Grebes nesting in the fallen poplar on the Long Water finally have at least one chick, after sitting for over six weeks. 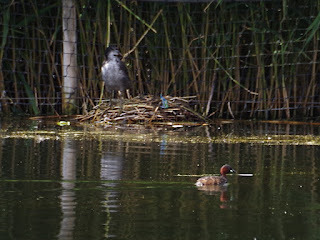 It's not very visible, as the nest can only be seen from the other side of the lake. 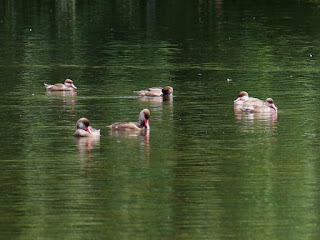 The Little Grebes spend most of their time in front of the reed bed on the east side -- again this has to be viewed from across the lake, this time the other way. It seems pretty clear that they are nesting here. 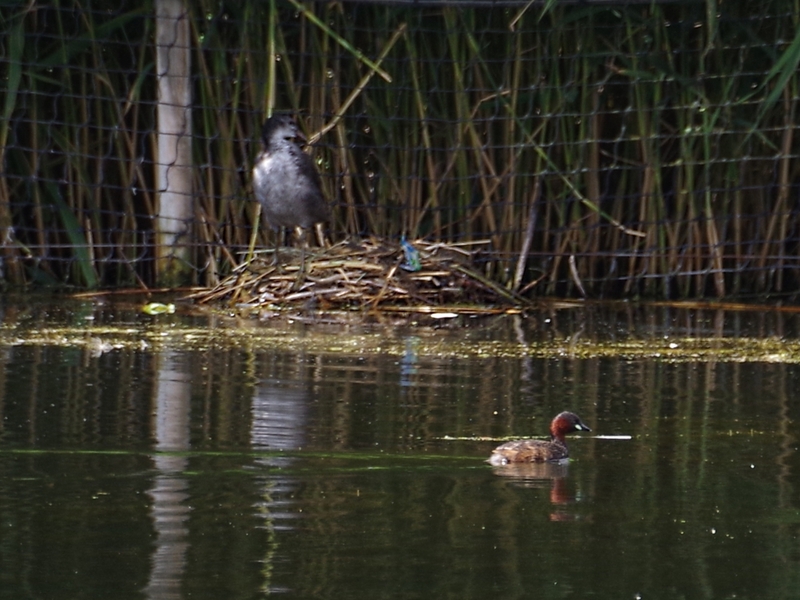 One swam past a Coots' nest with a young bird on it. 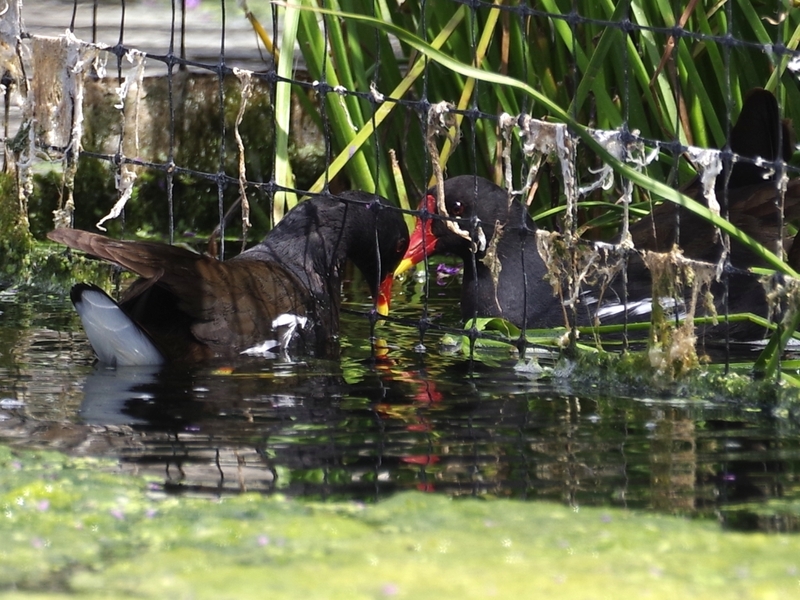 The pair of Moorhens in the Italian Garden are certainly nesting in a clump of purple loosestrife. 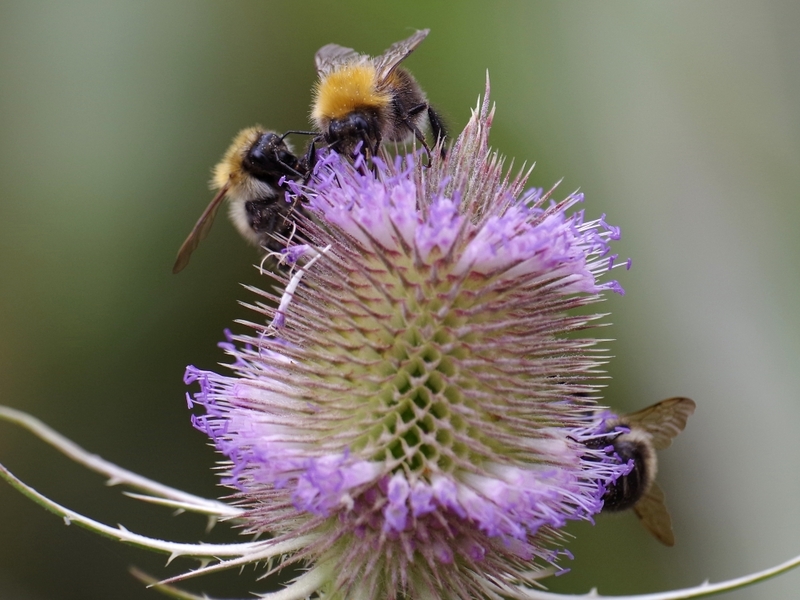 They were conversing through the netting surrounding the plants. 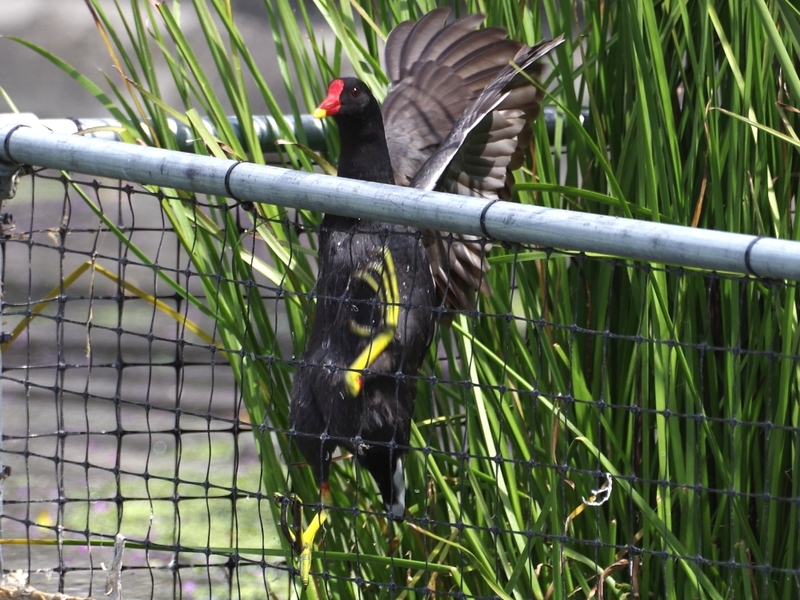 One of them climbed nimbly up the netting to rejoin its mate. 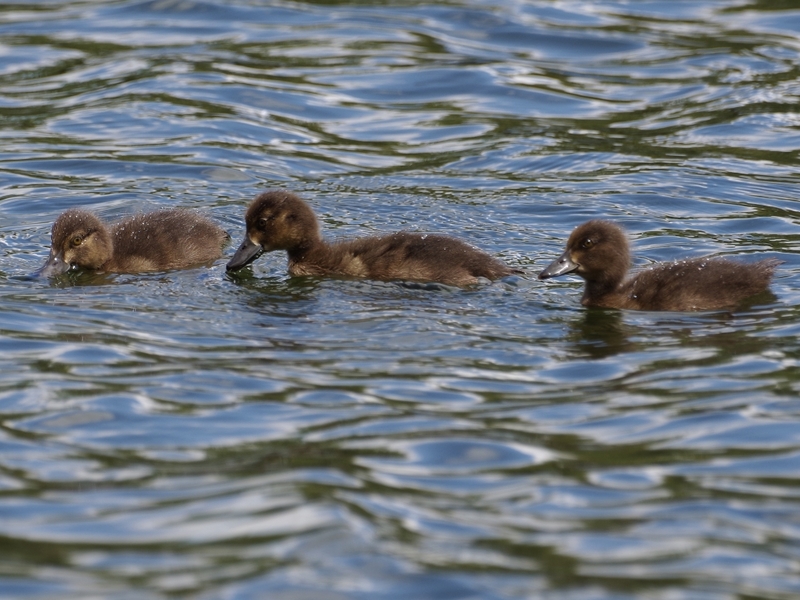 Both Tufted Duck families were in their usual place east of the Lido, and the ducklings were very active. 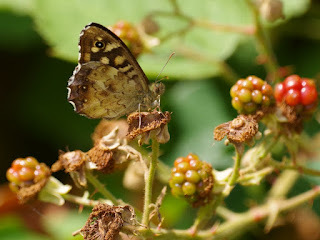 This is one of the five of the older family. 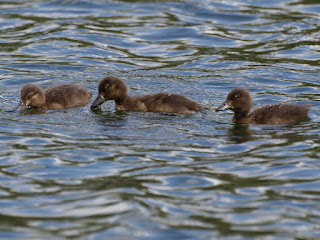 And here are three of the six of the younger one. The Mallard family with two blond ducklings were also in good shape. 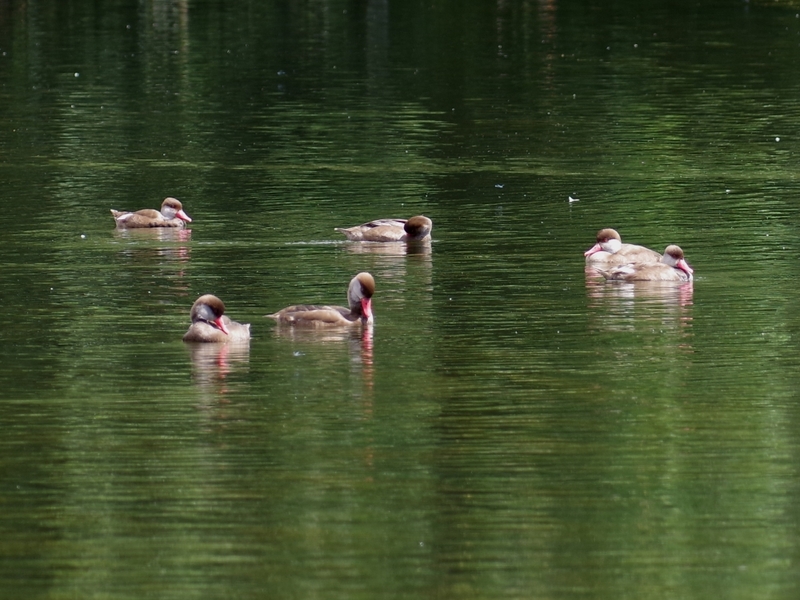 There were a lot of Red-Crested Pochards on the Long Water, almost all of them drakes. 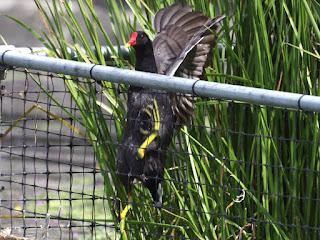 They are in eclipse and have the same plumage as females, but the red eyes and bills give them away. 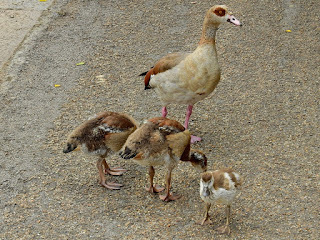 The Bar-Headed Goose that flew in from St James's Park to moult has been joined by another, which has already moulted and regrown its flight feathers. 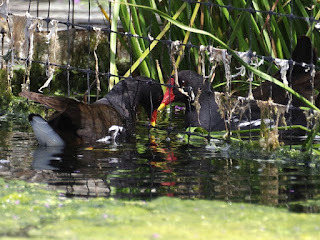 You can see the black primaries of the bird on the right. The one on the left is still flightless. 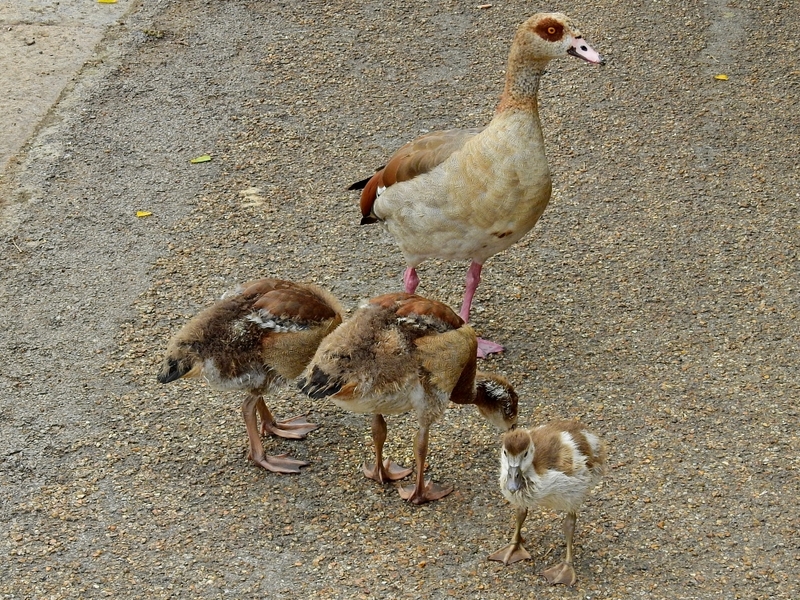 The little Egyptian gosling that was adopted by a mother with two larger goslings, and then got lost, has found the family again. 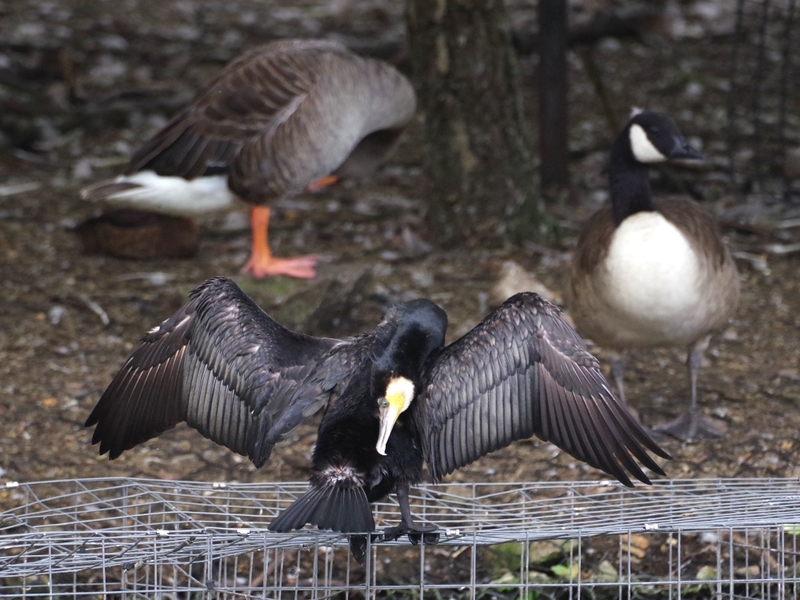 A Cormorant on the wire baskets surrounding the island preened in front of a Greylag Goose and a Canada. There are still only a handful of Cormorants here, but more will arrive soon to hoover up this year's crop of fish. A young Blackbird came down to drink at the little pool at the top of the Dell waterfall. 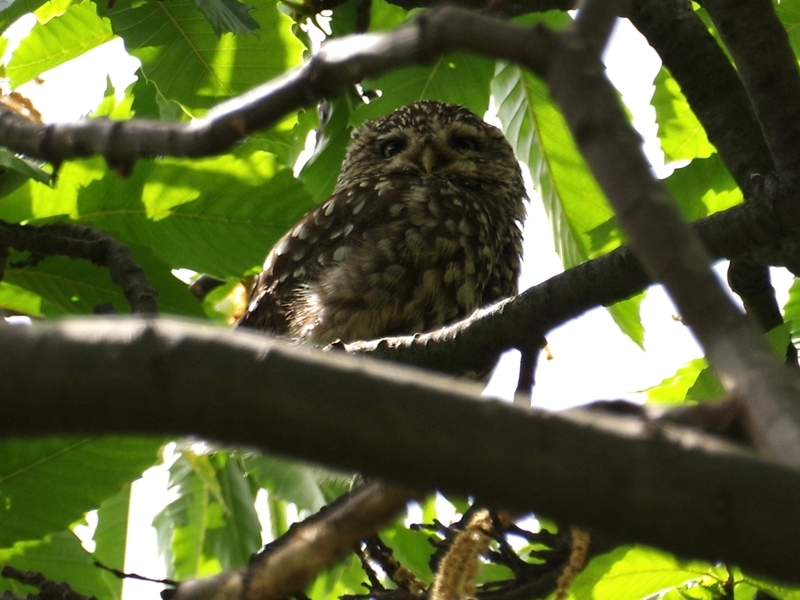 The male Little Owl at the leaf yard was in his usual tree, though not in a good place for a photograph. 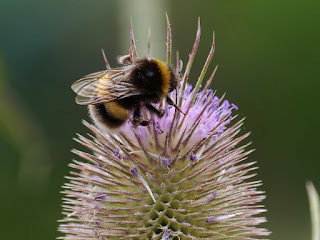 ... and a White-Tailed Bumblebee. A Speckled Wood butterfly settled on some unripe blackberries beside the Long Water. More stripey heads, yay! 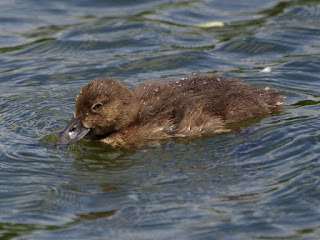 There is no danger of this new chick's going hungry at this time of the year, right? 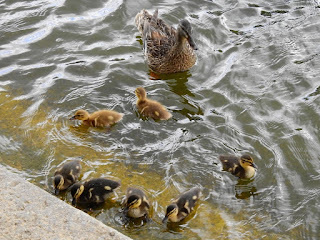 Great news that the little Egyptian found its adoptive family again. Sometimes I wonder how do they find each other, how do they recognize each other among dozens of other birds. I guess their voices must be as distinctive to them as faces are to (most) humans. 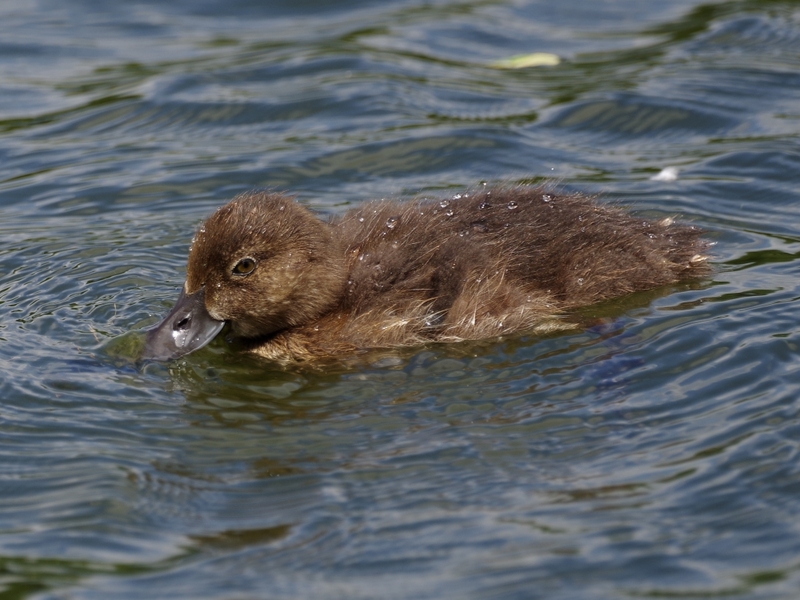 I think that young birds can distinguish their parents quite well by sight. 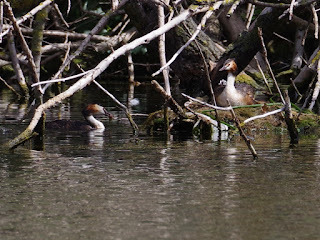 I've seen Great Crested Grebe chicks recognise their parents from 50 yards away while several adults were in sight.